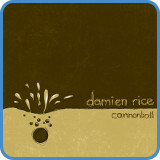 The original recording of ‘Cannonball’ by Damien Rice contains up to six guitars playing different lines. All these parts weave the different melodic lines into each other, creating a dream-like soundscape. Spy Tunes’ one guitar arrangement is a combination of these parts. A capo has been used to get into the same key as the original. What you hear is the key of Bbm, however, you think of ‘Cannonball’ as if in the key of Em. The verse chord progression is simple, mainly varying the extensions of the VI chord to add9, min7 and sus4, making the verse clearly ‘in minor’. The chorus chords follow the simple I – IV – V movement which puts the chorus in major. This switch between a minor verse and a major chorus is pretty common in modern songwriting. ‘Roxanne‘ and ‘Dreadlock Holiday‘ are merely two other examples. 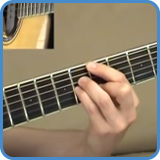 To get the complete TAB for what happens in the video, take the advanced guitar course. In the course, we don’t just learn to play the guitar part note for note, we also play the vocal melody of ‘Cannonball’. One of the main techniques this arrangement uses is to play around chords. This is essential when backing a singer on your own and is best applied using an improvised approach. To sound great, you can’t just play your rehearsed part. You need to also communicate with the singer, hold back when they are active and add flourishes when they’re not. It is in this space between two musicians that the magic of a performance appears. The first chord, which we think of as an Em, uses the chord extensions of 9th and b7th and stems from chord VI and the Aeolian mode. When you know a chord and the scale that the chord comes with, it’s easy to add melodies. You just pick notes from the scale, observe which ones sound best, remember and repeat them. The more you learn about the song and the modal scales it contains, the better your parts will sound. 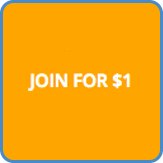 You will be drilled in how to play in any mode and arrangement for one acoustic guitar when you take the advanced course. For complete lyrics, go to Cannonball lyrics. Originally, Rice was a member of Juniper but on the evening of recording their first full album Rice changed his mind and left the band. Rice moved to Italy to start afresh, writing songs and busking his way around Europe. Back in Ireland, Rice got in touch with David Arnold and together they recorded the album ‘O’. To find out more, go to Damien Rice biography. 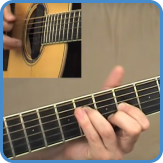 The advanced songs require you to learn 7th note chords and modal scales. 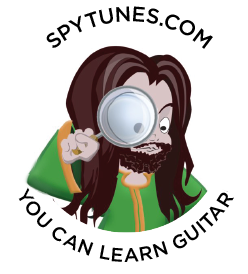 This will be revolutionary for your understanding of the guitar fretboard. These are pretty advanced exercises. You’ll be playing 7th note chords, arpeggios and modes all over the neck. But don’t fret – As you’ve already mapped out the fretboard with pentatonic scales and barre chords, extending the concept is actually really simple. Learn how to play famous advanced songs. ‘Angels’, ‘Baby Won’t You Please Come Home’, ‘Blackbird’, ‘Cannonball’, ‘Close To You’, ‘Creepin’ In’, ‘Don’t Wait Too Long’, ‘I Shot The Sheriff’, ‘Over The Rainbow’, ‘Roxanne’, ‘Scarborough Fair’, ‘Sunshine Of Your Love’, ‘Take Me To The River’, ‘Tears In Heaven’, and ‘Wish You Were Here’.